Where can I look up info about an item? You can use your Dashboard's Item Log to look up specific information about an item. 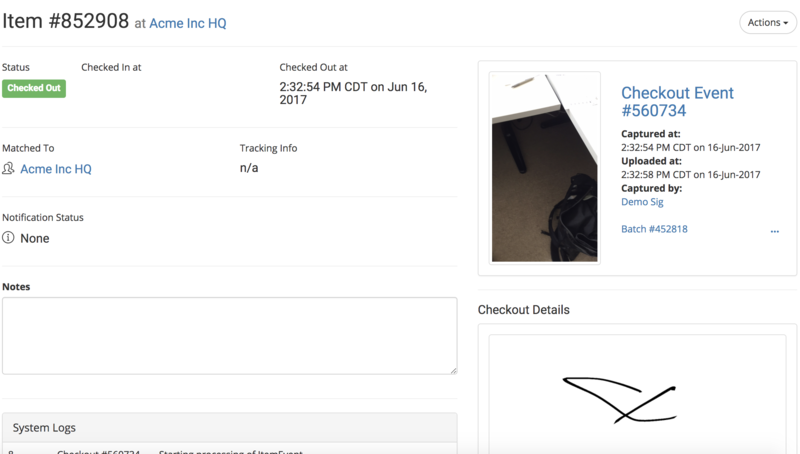 You can find basic information about the item here, such as the time it was checked in or out, tracking information, and the name of the recipient.